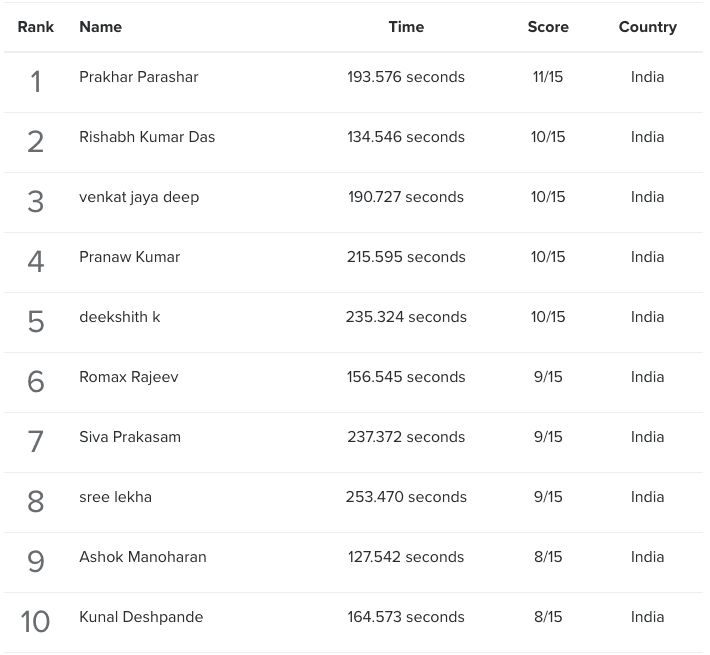 This is the leaderboard for the top scorers of the 'Mixed Bag' Quiz conducted on 01 October 2017. Those who want to participate in our awesome Weekend Quizzes, register on Quizzr: Quiz | Quizzes for Engineers . Also check out 'Quizzr Premium'.